I still don’t believe how good it is even now. When my advertising campaign is live I’m always getting calls, and going out to price work. There might be other companies out there that look like they do something similar, but Get Work are in a different league. I can't fault them. We’ve taken on 3 new roofers, 2 labourers and bought a new van, Bri’s got work every single day, he’s booked up now for another 2 months. There’s no other service that compares to Get Work, they show a genuine interest in the success of your company and they get results. Over the last 3 months we’ve had a 600% return on investment and I still have a number of jobs to come in that will push that up further. Get Work’s service has gone way above our expectations, we were expecting to get 1 or 2 calls in the first month and we’ve had 19 leads! I've received 25 leads so far (midway through month 2) and I've quoted £13,920 worth of work, won a lot of it and just waiting to do the jobs. We set up a campaign and send you leads, you get in the van and quote them! Once you’ve signed up, we create you a winning landing page and Google Ad campaign! Our campaigns target people that are actively looking for a tradesmen - and we put you directly in front of them! When someone asks for a quote, we send over the details and you price their job. On average, our landing pages turn 1 in 5 visitors into leads. The average home improvement page converts 1 in 30. Choose Get Work and get 6x more leads for your money! We provide you with a team of Google certified specialists. They build and manage your ad campaigns, working hard to get you more trade leads for your money. You’re 100 times more likely to get in touch with your lead in the first 5 minutes, which is why it’s so important to call fast. We make sure you’re given a nudge when your lead is most interested! Some leads just need quick repairs and can be booked in straight away. Others take time before they choose to commit. Stay on top of every lead and be there when the time’s right. We provide a simple dashboard that tells you what you’ve spent with us and the amount you’ve earned from our jobs. We know our campaigns work, but we want you to see for yourself. See what they have to say about our company and services. I was never worried about giving this a go because I knew that I would get my money back off one job and if it didn't work I wasn't tied to a contract. The amount of calls we got in the first month was smashing there was no doubt after that that we'd be continuing. I can't fault the service, the leads are great quality. We were doing fine before but this is just great, we get lots of work from it. It's really developed my business. I don't get every single job but 70% of the work that comes in I win! I can't fault it, there's nothing to fault, I would recommend it to anyone. As long as they aren't a roofer in my area (you're not having my area). I like that I'm the only roofer in my area because it certainly works. Get Work are very honest and clear. You know exactly what you're getting for your money. You know that a call or message is from Get Work and you can see every lead in your account. The customer service is great. Natasha is excellent. I'm not great with the internet but she explains everything very clearly and easily so that I understand it, she's introduced me to something that's fantastic. I'm really happy. It's 10/10. I would tell anyone to go for it. You can try it for half price and there's no contract! Worst case scenario you only need one job to make your money back but best case you end up like me, get lots of work from it make a load more profit and it transforms your business! Trust me, it's worth the money! When Get Work contacted us they were relatively new and we weren't sure if it would work. We've had past experiences with other companies calling, promising us things and not delivering so we were a bit worried at first but speaking to Natasha gave us the confidence to give it a try. Before Get Work we were spending a lot of money on advertising so we carried out an exercise to calculate how much profit each of our advertising methods was making for our business. It was shocking how little we were actually making from our other advertising! We thought that we were getting work because jobs were coming in but when we worked it out our return was so low that we cancelled these other services. We then looked at what Get Work was offering and how much it costs and it’s a much better way of making sure you're making a good return. We definitely get more work now, before Get Work came along it went a bit quiet and without it we might have been worrying about getting enough customers through the door because companies around us are saying they are quiet but we're not quiet at all. We have an Expansion and a Startup subscription and we make about 8 appointments a day from Get Work, in bad weather there is even more! The leads are all of good quality, genuine leads, not timewasters. People are coming to you because they want some work doing now. There’s been a mixed bag of jobs, roofing, chimney work, flat roofing, we don't get much silliness like someone who wants something out of the blue. They are genuine roofing leads which meets our business needs, its exactly what we need. We now get the majority of our work from Get Work. We've used Rated People and My Builder in the past, you can tell from those sites when people are struggling for work in the area because the prices that you pay for a lead go up. We've been offered to quote for 20 jobs on Rated People recently and we've not accepted one because the prices are going up and they're rubbish leads, you're paying £13.80 for a lead to replace a tile its just silly. A re-roof is £65 a lead and 10 people are quoting for it, they say only 3 people are allowed to quote but when you speak to the customer your the 7th person and the job has only been up 10 minutes, customers just get annoyed. Rated People is the worst because you can't see how many have been short listed for a job, at least My Builder shows you that 4 have been shortlisted. We've cut out a lot of the other stuff now since we’ve been with Get Work. The main reason is that we turn a lot of the calls and emails from Get Work into work and it’s by far the best service that we’ve tried, it's not money grabbing, they are genuine leads. The notifications are good, they let you know that its a lead from Get Work calling. You get emails so if you were to lose a number that's really handy because it will be emailed to you and if your out and about you know the time the customer called. I would definitely recommend them, speak to Natasha she's lovely. The service is great, give it a try they're really good. I saw Get Work online and because it only cost £250 to try it I gave them a go. Their website was spot on. When I called they sounded professional, they were well spoken and they knew what they were talking about so I was more than happy with my choice. I like that they're transparent, the price online was the price i paid and there were no hidden charges. The service has been really useful, there's been no false promises and I'm really happy with it. Its been great, they're helping me build up a great reputation, I'm getting extra income because they're bringing me more leads. They've taken care of building a great landing page, and advertising my business and I can get into my account on my phone to see all the work they get for me. The lead quality has been really good and there's been some really juicy jobs. I've had repairs, flat roofs, chimney work, leaks and commercial work too. I've tried MyBuilder and Quotatis and the quality of leads with Get Work is a lot better than buying off those websites as the leads only come to me. I think that's the best thing, the quality of the leads. The customer care is great too, whenever I've called they've answered or got back quickly. The platform is really easy, its useful and helps me keep organised with customers and I can see how well my advertising is doing. I'd definitely recommend to anybody, just stay out of my area! Independent Service Rating, based on 19 reviews over the past year. Feefo is a global feedback engine, providing consumers with genuine, un-moderated reviews. 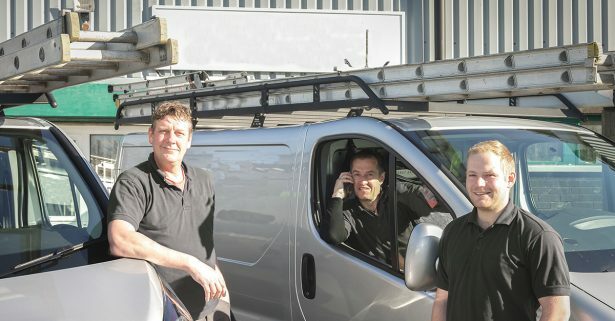 We help tradesmen grow their businesses; see who we’ve helped and how! We publish best practice tips to help tradesmen grow their businesses, subscribe here for updates. If you’re looking to grow quickly, take a look at our client case studies. With a 6,280% return on investment! What Trades Do We Cover? We generate roofing leads for your business. If you’re a roofer and you need help getting more roofing jobs to grow your company, our service is perfect for you and your team. We source joinery and carpentry leads for your business. If you’re a joiner or carpenter and you need help getting more jobs, our service is perfect for you and your team. We generate leads for plasterers and renderers. If you’re a plasterer or renderer and need help getting more jobs, our service is perfect for you and your team. We also supply leads for builders. So, if you’re a builder and you need help getting more building projects to grow you business, our service is perfect for you and your team. We supply high-quality electrical leads. So, if you’re an electrician looking for local leads to grow your business, our service is the perfect fit for you and your team. We source gardening, landscaping and driveway leads. So If you’re a labourer and need help getting more local jobs, our service is perfect for you and your team. We source painting and decorating leads for your business. If you’re a painter or decorator and you need help getting more jobs, our service is perfect for you and your team. We source heating and plumbing leads. 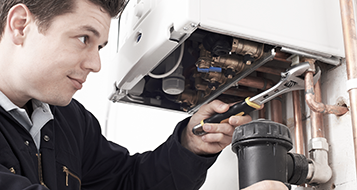 So if you’re a plumbing and heating specialist and you need help getting more local jobs, our service is perfect for you and your team. We supply high-quality leads for loft conversions. So, if you’re looking for loft conversion leads to grow your business, our service is perfect for you and your team.